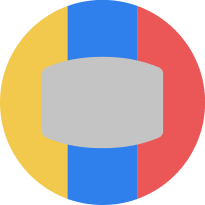 Undisciplined and error-prone. That was Frank Farina’s dire assessment as the Sydney FC coach lamented another poor showing from his charges. 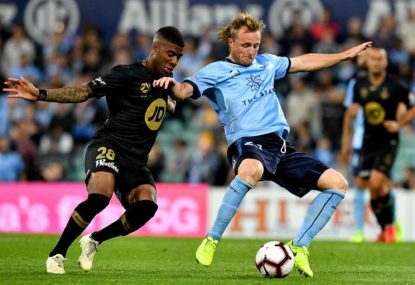 The Sky Blues were beaten 2-0 by Western Sydney in the first Sydney derby of the season at Allianz Stadium on Saturday but never even looked like challenging their cross-town rivals. 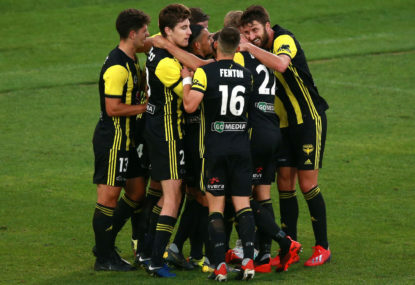 Two lapses in concentration resulted in Iacopo La Rocca and Shinji Ono’s first-half goals, ending the Sky Blues’ eight-match unbeaten run at home. 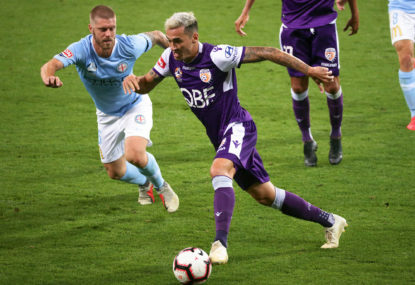 Having suffered a 4-0 thumping away to Brisbane last week, Sydney were desperate to right their wrongs. Instead they made the same mistakes and again proved they are lost without inspirational skipper Alessandro Del Piero. And Farina knows the Sky Blues have a lot of work to do before they can really be competitive. 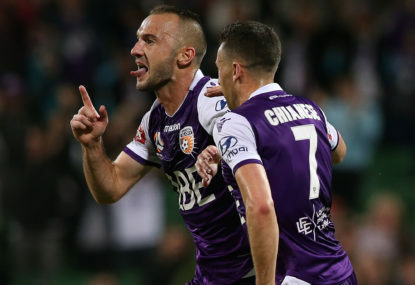 “First and foremost we have to cut out silly errors and mistakes, which in Brisbane cost us the first two goals from set pieces, and the third one came virtually just after a set piece,” Farina said. “That comes down to discipline – discipline in terms of what your job is and we’ve let ourselves down in that area. “That’s three set pieces in two weeks, which is not good enough. Del Piero watched frustrated from the sidelines before retreating down the tunnel at the break, as though knowing his side wouldn’t stage a second-half comeback. A record crowd of 40,388 – Sydney’s biggest for a regular season match – also watched frustrated, many heading for the exits before the final whistle. Farina said he sympathised with the supporters, who are already feeling disillusioned about their side’s prospects this season. “I’m not silly and I’m not naive, I’m disappointed so imagine what the fans are feeling,” he said. The Sky Blues face Perth next week with Del Piero (calf) still in doubt. Farina admitted the flight west was “not ideal” for the captain but stressed the side just needed to adjust if he’s ruled out. “We have to be realistic and know that Alessandro is most probably not going to play 27 straight games for us this year,” he said. 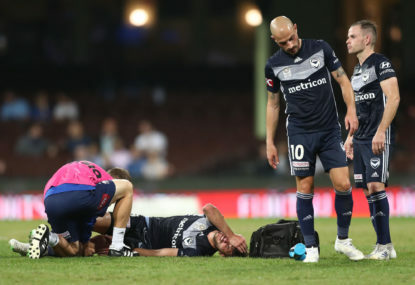 The coach was confident he’d have veteran midfielder Brett Emerton back from a niggling back complaint next week and said Terry McFlynn (groin) was likely to be fit. But in a further blow to Sydney utility Rhyan Grant could be sidelined for a lengthy period with his knee injury suspected to be serious.